Can we ever get too much nostalgia? 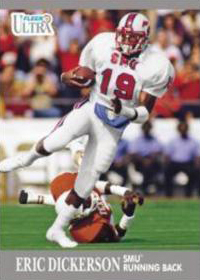 Upper Deck delves deeper into the eclectic Fleer archives for 2013 Fleer Retro Football. 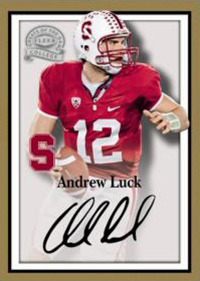 It features a new configuration that focuses more on inserts and less on autographs. It's not that autographs are disappearing, but there's a greater push on quality over quantity. 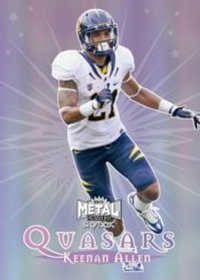 Every pack comes with a Metal Universe card. Rookies and legends are split evenly with each landing 1:2 packs. These also come with Precious Metal Gems parallels, which fall under the promised premium inserts. 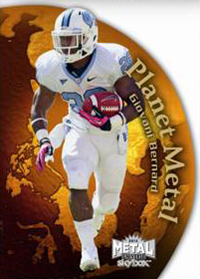 2013 Fleer Retro Football introduced three new colors to the PMG rainbow: Teal (#/50), Magenta (#/5) and Gold (1/1). Collectors can also find Red (#/100), Blue (#/50) and Green (#/10) PMGs for new players. 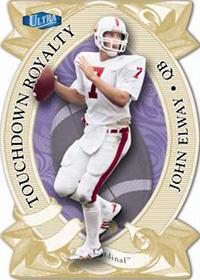 Other more common basic inserts in 2013 Fleer Retro Football include 1999 Flair Showcase (1:2 packs) and 1999 EX Century (1:6 packs). Boxes come with a pair of signed cards. 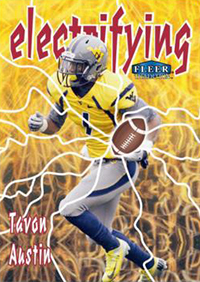 This a drop from six in 2012 Fleer Retro Football. Despite this, many now come with on-card signatures. Among the hard-signed cards are Greats of the Game Autographs and Prime Time Rookie Autographs. 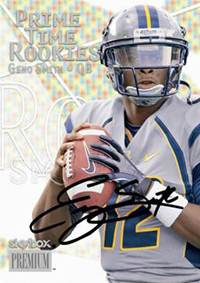 These rookies, which are based on a 1999 SkyBox Premium design, are numbered to 75 and 75. Base set Legends Autographs parallels are also signed directly on the card. Other signature sets in 2013 Fleer Retro Football are 1992 Rookie Sensations Autographs and base Rookie Autographs parallels. 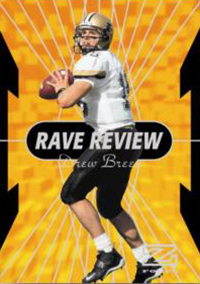 The 2013 Fleer Retro Football base set has 100 cards. Is the price point going to be lower with that many fewer autos? Garrett � Not sure what SRP is at this point. I’ve personally watched some of the SSP Precious Metal Gems from last year sell as high as any autograph from the set. Those are some of the most collected inserts of all time. Also, everybody loves some Fleer Ultra. its supposed to be out now according to the release date – havent seen any on ebay or a checklist are they late again ? jeff � The release date is April 2 (at least right now). I may be a bit biased with the 4-star rating as I pulled a Denard Robinson PMG 10/10 and a Peyton Manning Exclamation Points in one box. I already sold the Manning for $160 and the Denard is on eBay. One other sold for $125 and was 2/10. So I guess I just got a lucky box. Only to buy one pack out of a different box and pull a Jerry Rice base auto. May not try my luck any further but I like this one so far. Hey quick question Ryan….the exclamation inserts, are there 2 Peyton Mannings in the set?? Steven � Don’t believe so. Checklist only shows one. 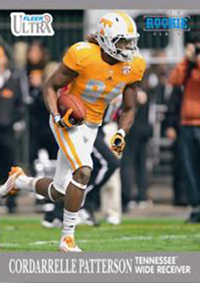 Only reason I ask is I pulled the peyton manning but the number is the ep-18 not ep-4?? Not sure why? 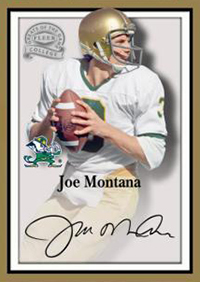 I just got the 2013 fleer retro greats of the game joe Montana auto #jm11 but I can’t find pricing or sales if it any where. Any print run info? My review, like some others, may be a bit biased due to the hits that I got out of this product. Overall, the quality of the product is nice, and there is a great variety of cards that you can obtain. I did not buy a full box, but I did buy about 10-12 packs striaght from a box, in which I had plenty of luck. I had pulled a “rookie sensation” Oday Aboushi auto, along with a BEAUTIFUL Gold 1/1 PMG of Joe Montana. Overall, I’m pleased with the quality of this product, and the rookies out of this set have done very well for themselves, for the most part, since the past few years.